On 29 July 1918, the British judiciary proffered the Empire’s most expressly and egregiously racist justification for the land dispossession of indigenous peoples. 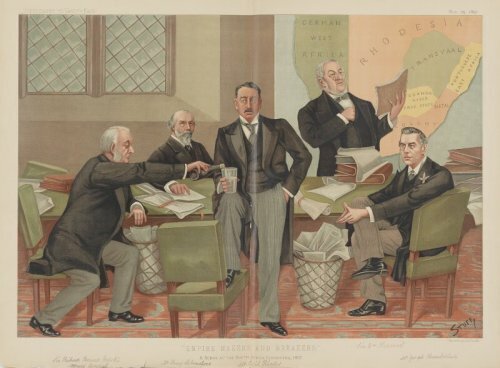 The infamous ruling of the Judicial Committee of the UK’s Privy Council, In Re Southern Rhodesia, upheld imperial Britain’s wholesale expropriation of the entire territory of Southern Rhodesia, invaded by Cecil Rhodes’ British South Africa Company (BSAC) under a mandate from the British Crown. The court held that the “natives” did not have rights to land, because – in the eyes of the court – they were too “low” to possess such rights. One hundred years later, as Zimbabweans go to the polls, they continue to pay the price for that decision. At the turn of the millennium, Zimbabwe underwent the most controversial episode of land redistribution in recent history, with the government sanctioning farm occupations and amending the constitution to permit expropriation without compensation. But now former President Robert Mugabe’s political grandstanding about “taking back the land” is slowly being superseded by the implausible prospect of “buying back the land”. Julius Nyerere, then-President of Tanzania, warned presciently on the eve of Zimbabwe’s independence that it would be untenable “to tax Zimbabweans in order to compensate people who took [land] away from them through the gun.” For the incoming government, that might prove unavoidable. A tribunal of the International Centre for the Settlement of Investment Disputes (ICSID) ruled in August 2015 that the government’s expropriation of timber plantations which were first established by Rhodes’ BSAC must be reversed and the properties returned to the investors. By failing to do so, Zimbabwe incurs a compensation bill of nearly $200million. Zimbabwe is still seeking to have the decision annulled. What makes the ICSID Award particularly abhorrent is the treatment of the indigenous communities – whose appeal to participate in the proceedings was firmly rejected by the arbitrators in 2012. The tribunal’s response to their claim was as flagrantly racist as that of the Privy Council in 1918. In its 318-pages, the Award enjoins both disputing parties (the state and the company) to facilitate the invasion of the communities’ lands – to burn their crops and homes, and remove them by force if necessary – in the name of white European capital. A century has done little to change that. The Privy Council dispute arose in the run-up to self-government for the white settler population. After invading and seizing the territory in the 1890s, the BSAC had been in charge of Southern Rhodesia’s administration for nearly three decades. The company’s parting gambit was to stake a claim for all of the “unalienated lands” which were yet to be allocated. The Privy Council ruled against the BSAC, declaring all unalienated lands the property of the Crown. But the company was awarded handsome compensation for its role in the country’s administration: some £3,750,000, plus a £2million waiver for its war debts, and the right to retain extensive mineral rights, commercial assets and land it had allocated to itself. Self-government for the white settlers was granted in 1923. Legal arguments submitted to the Privy Council by the Aborigines’ Protection Society appealed for the court to consider the land rights of the “native” population. Lobengula’s quasi-sovereignty was itself a convenient fiction by which the British strategically ignored the variegated and dynamic indigenous political structures existing in the territory. He had quickly encountered its limits. When Lobengula signed the so-called Rudd Concession presented to him by BSAC representatives in 1888 with an “X” (annotated as “his mark”) he was given verbal assurances that no more than ten white men would enter the territory and that they would abide by local laws. Later realising that he had been duped into granting valuable concessions to the BSAC, Lobengula’s putative sovereignty proved insufficient to rescind the agreements in the eyes of the company or the British Crown. In 1889, he published a newspaper notice repudiating the Concession; months later, he sent a letter to the same effect addressed to Queen Victoria. Both to no avail. In 1980 independent Zimbabwe emerged from nearly a century of white minority rule lumbered with an inheritance comprising of approximately 6,000 white farmers in control of 15 million hectares of the country’s best agricultural land. Mugabe may have secured his status as an international pariah when, in the 2000s, he tethered the issue of land reform to his own political survival and unleashed a wave of political violence. But he did not invent the “problem” of land – and nor will it be solved by his ousting from power last year. Illegal squatting and land occupations had already played a significant and recurring role in Zimbabwe’s history. Despite the contentious implementation of the so-called Fast-Track Land Reform Programme (FTLRP), it is estimated that over 10 million hectares were formally transferred to 169,000 beneficiary farmers between 2000 and 2009. Currently, election candidates continue to position themselves around the irreversibility of that process. As amply demonstrated by Mahmood Mamdani’s LRB article in 2008, it is difficult to say much about that period without becoming mired in divisive debate. Mugabe’s politics of nativism and anti-imperialistic rhetoric may well have been deployed to obscure the excesses of an authoritarian regime. Incidents of violence, corruption and cronyism clearly stained what many hoped would be a new and vital chapter in Zimbabwe’s unfinished business of independence. But determining what went awry under Mugabe’s government is perhaps a good deal easier than identifying how to proceed with legitimate claims for land redistribution – in Zimbabwe or anywhere else. Fulfilling such claims hinges to a large degree on the costs of redistribution. Zimbabwe’s refusal to pay compensation to former owners has always been (specifically) a refusal to accept that those costs should be borne by Zimbabweans. But in the run-up to the current election, ZANU PF’s own resolve not to pay former owners has been replaced by a tempered resignation. Mugabe’s interim successor Emmerson Mnangagwa has given assurances that compensation will indeed be paid. How much? Nobody knows. But that billion-dollar question may prove to be the defining issue of the country’s new administration. It will also be a departure from a central element of the power-sharing agreement entered into by ZANU-PF and the Movement for Democratic Change in 2008, which explicitly placed sole responsibility for compensating the owners of expropriated properties on Britain, as the former colonial power. In 2013, this clause was incorporated into the Zimbabwean constitution. The charge is not unwarranted. From the grant of a Royal Charter to the BSAC in 1889, right up until the Unilateral Declaration of Independence in 1965, British colonial authorities retained legal oversight of “native affairs” in Southern Rhodesia. Deemed too “low” to be capable of having rights, the indigenous population were condemned to subjugation, subordination and servitude in native reserves, paying the white minority government tax on everything from huts to dogs. Hundreds of measures that were prima facie discriminatory against black Africans were submitted to the British government for assent; they were scrutinized, amended, and approved. Among these was the 1930 Land Apportionment Act, which helped to entrench the country’s racially discriminatory system of land segregation. Approved under a British Labour administration (contrary to Clare Short’s notoriously ingenuous 1997 letter), the Land Apportionment Act was dubbed the “magna carta” of the white supremacist Rhodesian Front. Zimbabwe’s independence settlement – brokered by the British – further bequeathed the new nation with rules effectively prohibiting meaningful land reform for ten years, and a gentlemen’s agreement that Britain would eventually contribute voluntarily. That prospect seems increasingly unlikely. If Zimbabwe is left to buy its own way out of the racist distribution of land it inherited at independence, the cost of paying compensation for expropriated properties may simply cripple the already battered economy – and create conditions for further civil unrest. Even the World Bank’s 2004 evaluation of its role in Zimbabwe acknowledged that the success of any “orderly and market-assisted land reform process” had been fatally undermined by the Bank’s failure to “finance all components of land reform, including land purchases.”  Clearly the burden of compensation could sway whatever commitment the incoming government might have to preserving the land reforms – but reversing those reforms could prove political dynamite. Morris Cohen argued persuasively in 1927 that imposing a strict requirement for compensation in all cases of expropriation creates not only a political straightjacket – entrenching the distributive status quo – but also a moral quagmire. Some property relations are merely the extension of abhorrent social relations. Cohen’s example is persuasive: “When slavery is abolished by law; the owners have their property taken away. Is the state ethically bound to pay them the full market value of their slaves?” For Cohen, abolition was a prime example of “justifiable confiscation without compensation” which is “inconsistent with the absolute theory of private property”. (Contemporary opinion would seem to concur with him). The problem is that contemporary international investment law all too rarely provides for the kind of distinction Cohen illustrates as necessary. In the 2000s, already in the throes of the FTLRP, the Mugabe government signed several bilateral investment treaties (BITs), including with Germany and Switzerland. In hindsight, it could hardly have been a more incongruous moment. But at the time, only 27 known investor-state disputes had ever been concluded. Not even the architects of investor-state dispute settlement (ISDS) seem to have anticipated the legal behemoth that the ISDS industry has become. Nearly two decades and over five hundred concluded cases later, the risks of signing BITs that provide foreign investors with recourse to ISDS are more obvious. The inclusion of ISDS clauses has been a major factor in mobilising opposition to a raft of major trade and investment agreements (including TTIP, CETA and TPP). Though Zimbabwe can hardly claim to have been defrauded into signing the BITs in the same manner that Lobengula had been duped into the BSAC concessions, there is a striking parallel. In 2010, two claims were initiated under the German and Swiss BITs by investors challenging the government’s expropriation of timber plantations that were originally established by the BSAC. In fact the company (Border Timbers Ltd.) refers to the plantations as “established” by “the British South Africa Police Company” – a misnomer, as no such company has ever existed. The British South Africa Police was the company’s paramilitary. The company’s conflation of the two names is not only an idle display of its indifference. Their mistake rather unwittingly encapsulates both the overlap in the BSAC commercial and administrative roles in the creation of Southern Rhodesia, as well as the function of legal force in constituting property rights. The error is more “true” than the truth: the plantations were not merely established by the company, but by the force of law with which property rights are fortified. In August 2015, the arbitral tribunal deemed the expropriation of the investors’ timber plantations unlawful and awarded nearly $200million in compensation, including $1million in moral damages. To avoid the colossal compensation bill, the arbitrators expressly urged the Zimbabwean government to rather restore the investors’ properties to them, by forcefully removing certain communities occupying parts of the plantations. Those communities’ rights, the Tribunal emphasised, are “fragile at best”. Normally when people speak of “fragile” rights it is to appeal for their protection. Not so in this case. Here the term was meant simply to illustrate how much easier (and cheaper) it would be to trample them. The arbitrators did acknowledge that in forcibly removing these groups – whom they dub “the Invaders” – the “possibility of some disturbance should not be overlooked”. Nevertheless, this was deemed the “most appropriate” remedy. These so-called “Invaders” had in fact petitioned the arbitral tribunal in 2012, asserting that the proceedings would fatally undermine their rights as indigenous peoples under international law to collective ownership and usufruct of their traditional lands, as well as their collective right to consultation. 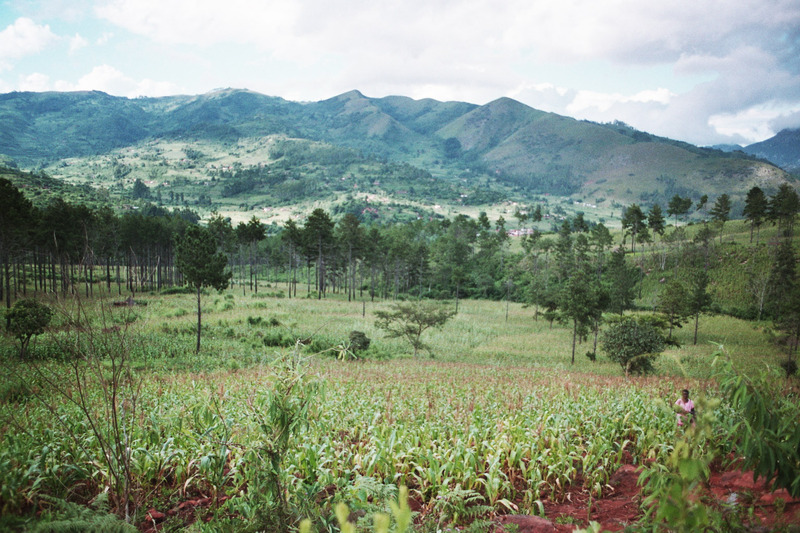 Stuck between the state and the company, the indigenous communities of Chimanimani have been attempting for decades to become beneficiaries of the government’s land reform programme, but to little avail. Aptly, the name Chimanimani means “squeezed into a tight space”. Some of the indigenous people still remember being forcibly removed from their ancestral lands – after the land was sold to the BSAC – and into native compounds. The BSAC’s timber was planted on the sacred sites and burial grounds of their ancestors, which these communities have maintained over generations, despite having no legal title. Indeed, although earmarked for expropriation in the FTLRP over a decade ago, these timber plantations have in fact remained in control of the company. The communities meanwhile have endured Kafkaesque legal battles, the constant threat of eviction and significant levels of harassment by the company and local authorities. Some have seen their homes and crops torched. Their attempt in the 2000s to negotiate with the company over a Joint Forest Management agreement was flatly rejected. A petition for the recognition of their rights – in which both state and company are named as defendants – has been pending for several years before the Supreme Court of Zimbabwe. The communities’ petition to the ICSID tribunal requested merely for the right to participate – in accordance with the ICSID rules – as “amicus curiae”. The investors objected and the government was ambivalent. It is an episode worth bearing in mind in the coming weeks, as Zimbabwe’s new government listens to the inevitable calls from Western governments and international financial institutions to create a stable environment for foreign investment. At precisely the moment when South Africa looks set to follow suit on land expropriation without compensation, Zimbabwe will be pressed to ensure the security of property rights, so as to lay the foundations for the country’s continued rehabilitation and re-integration into the “international economic order”. Fine words. But that order – largely unchanged despite the economic chaos that enveloped the entire globe during Zimbabwe’s hiatus – has long been blind to the often-violent origins of the property rights it was built to protect. One hundred years after the expropriations of In Re Southern Rhodesia, it is time the British government started thinking about compensation. Bernhard von Pezold and Others v. Republic of Zimbabwe, ICSID Case No. ARB/10/15 Award, 28 July 2015. The case was conjoined with Border Timbers Limited, Border Timbers International (Private) Limited, and Hangani Development Co. (Private) Limited v. Republic of Zimbabwe, ICSID Case No. ARB/10/25.